Her Teachers included S. Holm in Lugano, J. J. Kantorov in Rotterdam, J. Hofmann and R. Kussmaul in Freiburg in Br. and she also got impulses from D. DeLay, F. Gulli, G. Schulz, and D. Zsigmondy. 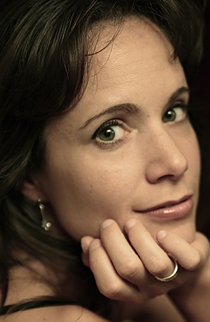 As soloist Daria Zappa has played with many orchestras in Switzerland, Germany, Italy and South America. Till 2011 Zappa was Assistent of B. Schmid at the Bern Music University and since 2004 she has her own Violin class at the “Konservatorium Zürich”. Daria Zappa plays a fabulous Italian Violin, built in Brescia by Jan Baptista Mezzabotte in 1778. Together with her husband, M. Matesic, she has created 2008 the “Festival der Stille” in Kaiserstuhl, where they live with their son Iskander.